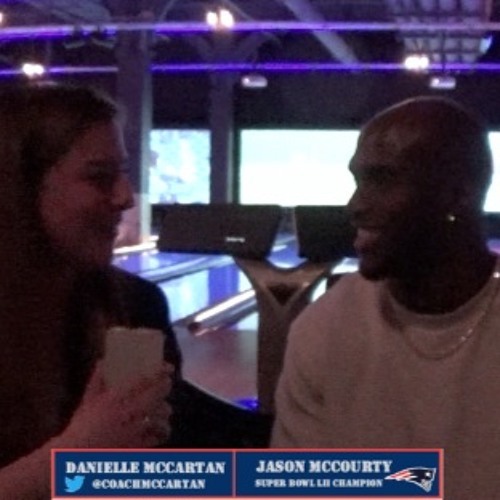 JASON MCCOURTY SUPER BOWL LIII CHAMPION NEW ENGLAND PATRIOTS Audio: https://soundcloud.com/coachmccartan/jason-mccourty-april-2019 Video: https://youtu.be/DNLqrpHR-R8 website: www.prosportsrundown.com :13 Your Super Bowl Journey: how does it feel to finally win one?! :45 1st time ticker tape parade experience :55 The post-Super Bowl crash? 1:27 No ring yet? 1:45 What happened with Greg Schiano this season re: Patriots staff? 2:15 Message for Patriots fans in 2019? 2:53 On Gronk’s retirement 3:26 Is Gronk a HOFer?